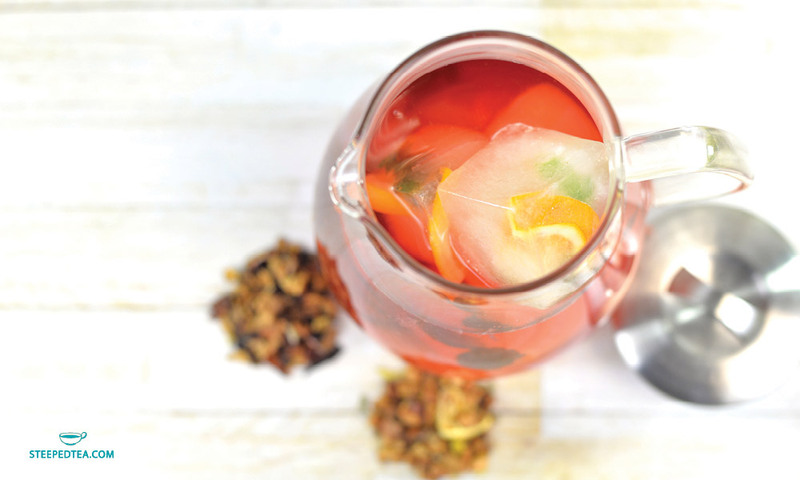 Brew Citrus Mint Sangria, fruit tea according to directions on package. Pour tea into ice cube tray, add in oranges, limes, lemons, and mint; freeze over night. Brew Italian Orange Soda, fruit tea according to directions. Let Chill. Add ice cubes to Sweet Tea Pitcher and pour in Italian Orange Soda. Enjoy!